People like to hear their name called. Recognition for a job well done at work, in church, or anywhere always feels good to have your name mentioned. God deserves to hear His name called out by us and there is nothing wrong with saying the name Jesus. At the name of Jesus every knee will bow. I recognize God’s name is above every name but I don’t always let Him hear me say it out loud. When was the last time you said God’s name and recognized Him for who He is? 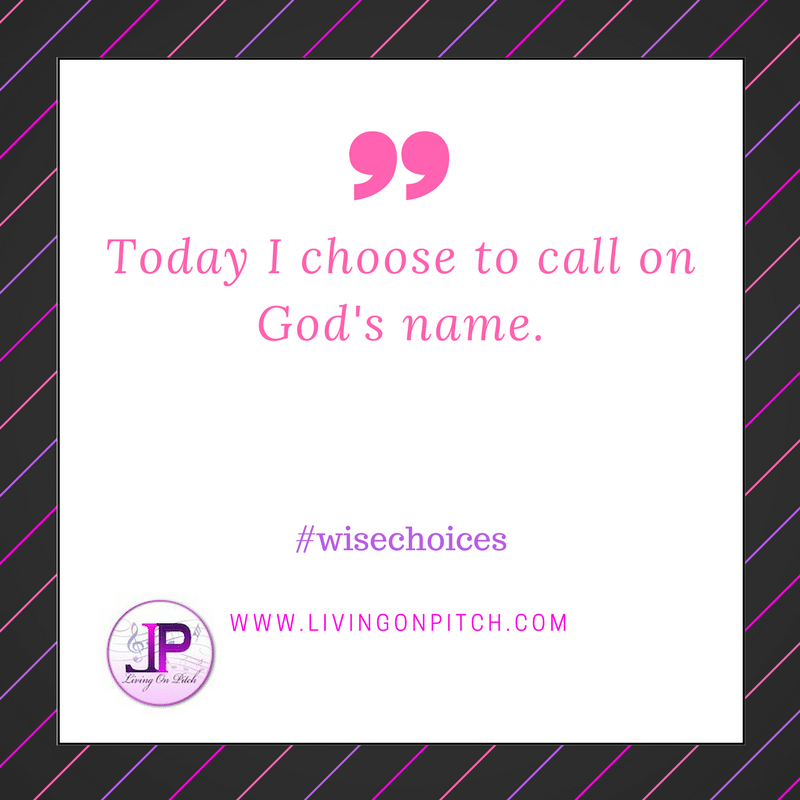 There is something about the name Jesus, so today I choose to open my mouth and call out His name. I will verbally acknowledge that God’s name is worthy to be praised. Prayer: God you are everything to me. I thank you for being a Wonderful, Counselor, Mighty God, Prince of Peace. Thank you for being an Everlasting Father, the Great I Am, the Holy One. You are my Master, Savior, Friend, and my King. You are my Keeper, the Alpha & Omega, the Giver of Life, Jehovah, and Lord of all. You are my Healer, my strength and my song. You are my eternal Hope and I love you. Amen. Something about that Name! Yes!